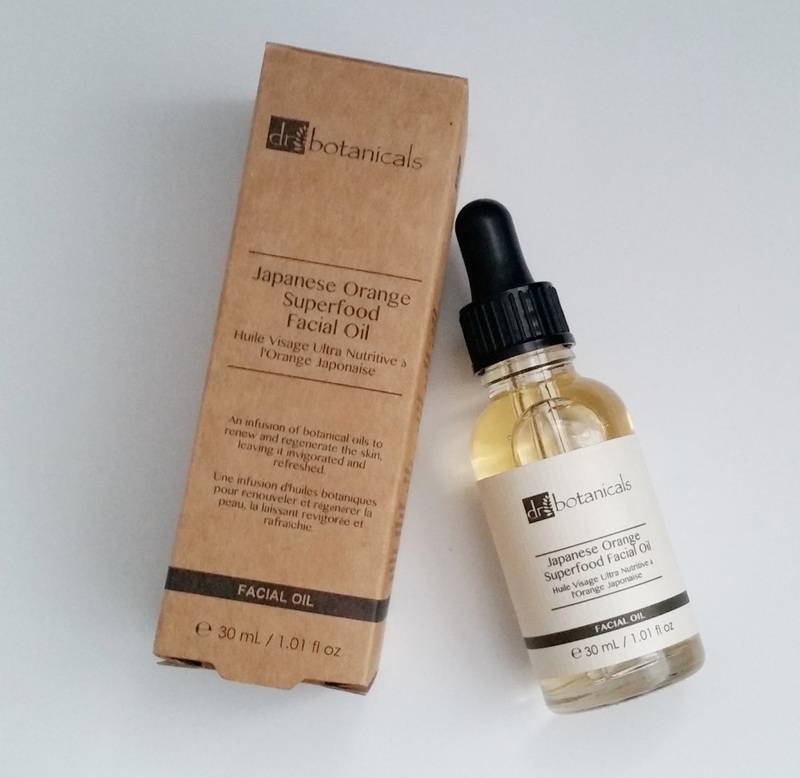 Home / SkinCare / Dr Botanicals Japanese Orange Superfood Facial Oil. 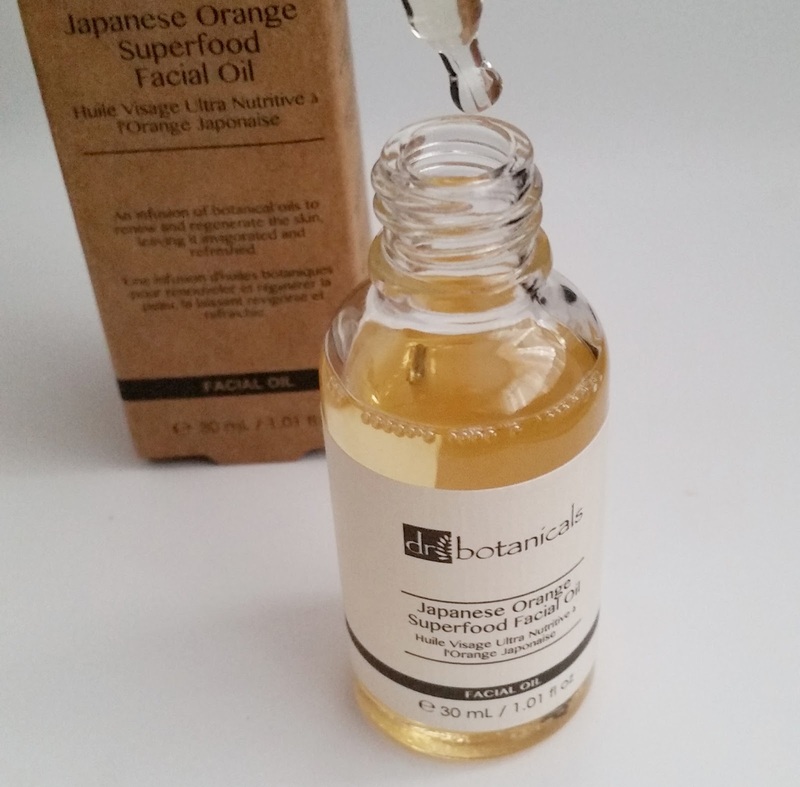 Dr Botanicals Japanese Orange Superfood Facial Oil. Dr Botanicals Japanese Orange Superfood Facial Oil is an infusion of botanical oils to renew and regenerate the skin, leaving it invigorated and refreshed. The deeply nourishing blend of natural actives work to calm and protect the skin, improving general skin health. Vegan certified Dr Botanicals products, are made only of natural ingredients. Never tested on animals, the range embodies their belief in the potent power of botanicals. Dr Botanicals Japanese Orange Superfood Facial Oil arrives in recyclable packaging, whilst the facial oil is situated in a glass bottle with an eye dropper present for controlled dispensing. You will notice a light yellow colour to the facial oil in the bottle, but the oil appears clear when dispensed from the eye dropper tool. Dispense 3 drops of facial oil onto your four fingertips (exclude the thumb), rub fingertips lightly together and gently press oil onto the area's of cleansed skin which are the cheeks, forehead and then chin. The facial oil does have a runny consistency, helping it to glide over skin with ease and u do not have to use a lot of it to cover your whole face. Instantly it absorbs into skin leaving your skin soft and smooth without it feeling greasy, the light scent of sweet orange is a pleasant surprise. Applying the facial oil in the morning to instantly wake skin up and create a perfect skin base before make-up application. Guys can soothe and replenish skin after shaving, whilst also follow a simple skincare routine when including this superfood facial oil. Applying at night when skin regenerates and repairs is a perfect "overnight" option to include the facial oil into your skincare regime to restore and balance your skins complexion. The Japanese Orange Superfood Facial Oil is versatile to be used in an already skincare routine, boosting skin texture and tone whilst also boosting anti-ageing. If you are using serums already, clear serums are used first, followed by tainted colour ones. before using a moisturiser, facial oil then sunscreen. The oil is light enough to be worn in the summer and will definitely protect your skin in winter, when your looking for protection from any of the seasons elements, making this facial oil an "All Season" facial oil to be used anytime of the year. 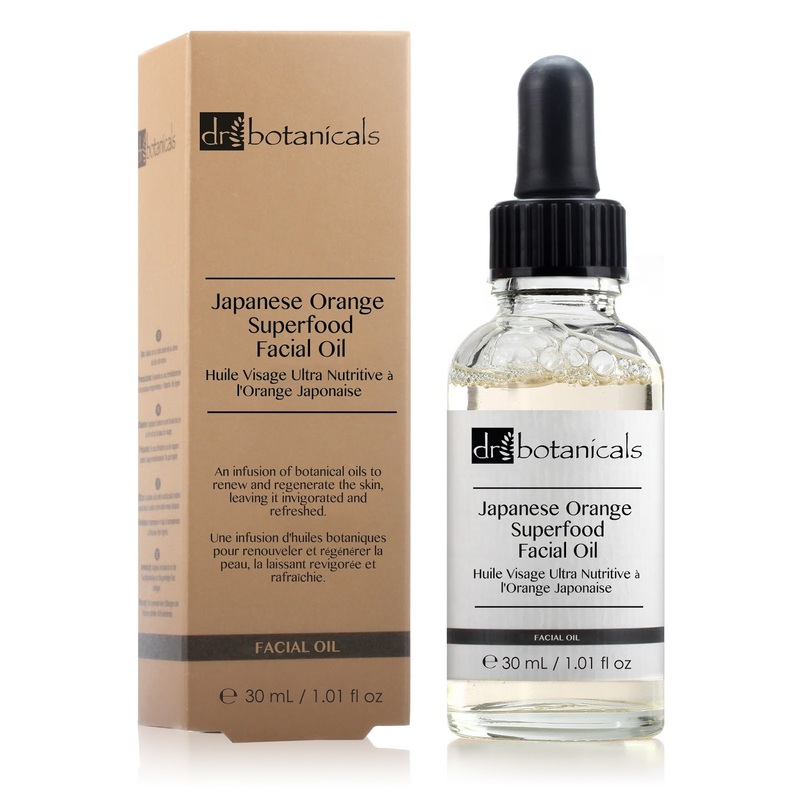 If your looking for a facial oil that contains and achieves many skin benefits, Choose the japanese orange superfood facial oil from DR Botanicals to boost your skincare routine and complexion. X Neil.